Posted on February 26, 2019 by DrLax. We have three major barriers to parents being willing to give lacrosse a chance. In emerging lacrosse markets, first and foremost, it is many viewing the sport of lacrosse as some weird activity that does not qualify as real sport in comparison to the more traditional sports (soccer, basketball, football, baseball). Second and third barriers are combined in that they are related: the cost of equipment (especially for boys) for young children who may lose interest in the sport at some point and losing young children to other traditional sports at young ages due to far less investment in gear being necessary. Buying a set of chin guards for a child to play soccer, for example, is far less of a financial commitment than $270 in gear plus US Lacrosse membership and league registration fees. In order to address these barriers to entry, the Brevard Lacrosse Alliance, the club I have presided over for 10 years, has adopted a 6U coed soft lacrosse division. The club made the initial investment in beginner boys sticks, protective goggles that are worn in the girls game, and soft lacrosse balls that are weighted to be similar to standard lacrosse balls to facilitate easier weighted ball handling without the sting of a standard ball should one get hit with one. The sticks have standard heads and are cut down to 30 inches. 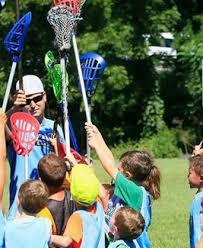 Thus, all the parents are on the hook for is US Lacrosse and league registration fees and a protective mouthpiece. The kids play on a modified 55 x 30 yard field with 4 x 4 goals with targets. In our first experiment with this in this year’s spring season, we have 12 boys and girls registered all aged 4 and 5 years. The kids are having a blast learning the game and the parents are really enjoying it as well. What’s more, getting the parents out on the field to see what lacrosse looks like with the more experienced older divisions playing on adjacent fields give them a glimpse of how their little ones will be playing the game one day if they stick with it. Most are impressed with the speed, athleticism, and aesthetics of the game. For those moving up to the 8U division next season when the kids are split by gender and full gear will be required, having had the 6U soft lacrosse experience will (at least we hope) make the investment in gear a bit more palatable with the sport no longer being so foreign to the parents and their children already enjoying it. From my beginnings as a coach and eventually a youth lacrosse club president, I have always maintained that the sport of lacrosse sells itself as long as we can get parents and kids exposure to it. Having a 6U coed soft lacrosse division enables getting parents and kids in front of the sport at very young ages, setting the foundation for bottom up growth, the very best model to grow any youth sport. Posted on February 5, 2019 by DrLax. At the time of the inception of the Premier Lacrosse League (PLL) set for its inaugural season in summer 2019, there already were two professional lacrosse leagues: the Canadian based indoor box National Lacrosse League (NLL) and the U.S. based field Major League Lacrosse (MLL). Although there was some overlap of the MLL and NLL seasons, for the most part they were different times of the year (MLL summer and NLL winter) and the leagues did not compete while offering vastly different lacrosse products. Several professional lacrosse players, including the PLL founder and lacrosse super star Paul Rabil, even played in both leagues concurrnetly. 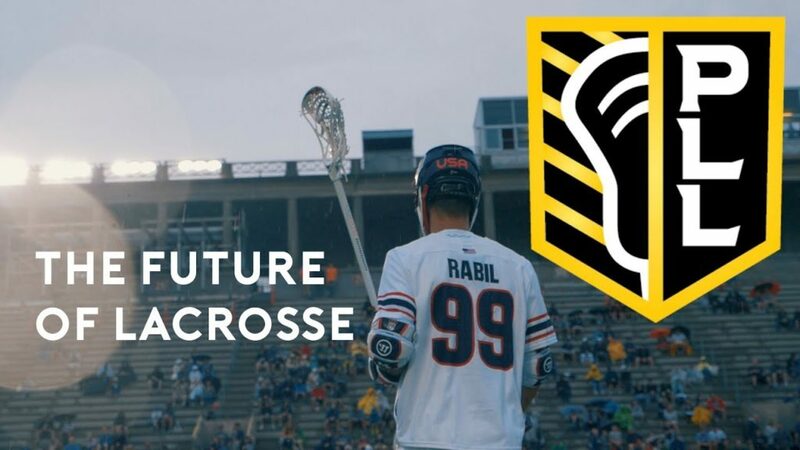 With the creation of the new tour style PLL, however, the question remains, will Paul Rabil and his new league take pro lacrosse to another level or will it simply serve to further water down a still relatively small and already split sport fan base? No one can really predict the outcome for certain but most agree that something needed to change and MLL’s biggest star was no longer willing to sit back and wait for that much needed change. Paul Rabil is one of the few lacrosse players that managed to make a very successful living from professional lacrosse. He accomplished this by teaming up with brother Mike Rabil and essentially creating a media company that promoted his brand through video, podcast, and social media, and building a fan base that helped him rake in endorsements. Beyond his exceptional talent, Rabil created a marketable and recognizable brand that made him the name and face of lacrosse to make him the sport’s first million dollar man. For most others, with MLL season salaries averaging $8000 per year, the vast majority of players need to hold full time jobs which essentially makes playing pro lacrosse little more than a hobby for the most talented lacrosse athletes in the world. The end result is that the league stays very young with most players bowing out while still in their 20’s to focus on careers that they can make a living conducive to marriage and having a family. Last season average attendance in the nine-team MLL was 3,619, the lowest it has been since 2003. On top of that, players’ travel and accommodations are considered by many players to be sub-par for a league that has been in existence since 2002. My good friend Brian Megill, a former star and 3 year veteran of the MLL, took an offered opportunity to play for the New England Blackwolves in the NLL. While the base pay was not much better, Brian shared with me that at least the NLL (or at least this particular franchise) treated its players like professional athletes. Brian told me at the time that the contrasting experience was part of his calculation when he decided not to return to the MLL for a fourth season. After 11 seasons in MLL, during which he became the all-time scoring leader, Rabil decided he’d had enough and announced the formation of his own pro lacrosse circuit: the Premier Lacrosse League, set to begin play June 1, 2019. The PLL will offer geographic fluidity, consisting of six teams with rosters of 28 players each; but no team will claim a city as its home. Instead, 14 summer weekends (which will include an All-Star Game and a championship), the whole league will play tour style with play dates in 12 major cities, playing in two of them twice.). The league will coordinate travel, housing and practice sites such that teammates will not need to live in or near the same city. The tour-based model also intends to address the biggest challenge faced by any startup league: venues. The MLL is forced to design its schedule around the availability of stadiums of severely contrasting capacities. For example, the Denver Outlaws usually fill about one-tenth of the 76,125 seats at Broncos Stadium at Mile High, while the Florida Launch drew an average crowd size of 2298 in the 38,000 seat Florida Atlantic University stadium. The PLL, on the other hand, will have the ability to rent more appropriately sized stadiums one weekend at a time, focusing all its resources on building a festival-like atmosphere around the three games it will play there. The PLL also promises to reach more viewers by having signed a deal with NBC which will broadcast 17 games on NBC Sports Network, stream 20 on NBC Sports Gold service and air two on its main network . By contrast, the only ability for fans to watch MLL games is by stream through the Lax Sports Network, a service only lacrosse fans are going to have. By branching into a major network, the PLL hopes to reach new fans to grow the sport further into the mainstream. Whether or not the Premier Lacrosse League is the answer to overcoming the professional lacrosse plateau that the current leagues have not, there is already a buzz and excitement about the league in the lacrosse community. With Rabil and his star power and marketing prowess having been one of the drivers behind growing the MLL to where it is today, given his past success, one has to be hopeful that this will be his next crowning achievement that all lacrosse enthusiasts may benefit from. Dr. Roger Welton is a practicing veterinarian and well regarded media personality through a number of topics and platforms. In addition to being passionate about integrative veterinary medicine for which he is a nationally renowned expert, Dr. Welton was also an accomplished college lacrosse player and remains to this day very involved in the sport. He is president of Maybeck Animal Hospital , runs the successful veterinary/animal health blogs Web-DVM andDr. Roger’s Holistic Veterinary Care, and fulfills his passion for lacrosse through his lacrosse and sport blog, The Creator’s Game.